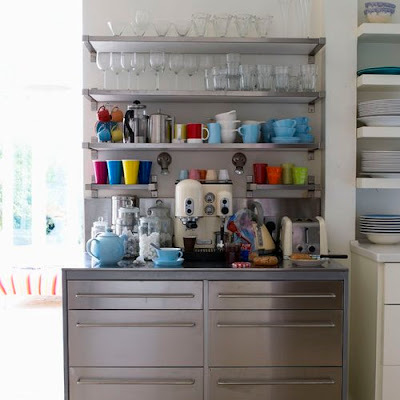 Oh how I would love to walk into our teeny tiny kitchen and see this little coffee bar. That would make me the happiest girl in the world. For now, I have settled with collecting random assortments of brightly colored coffee mugs and registering for a fab stainless steel espresso machine. A girl can dream. This is my goal too!